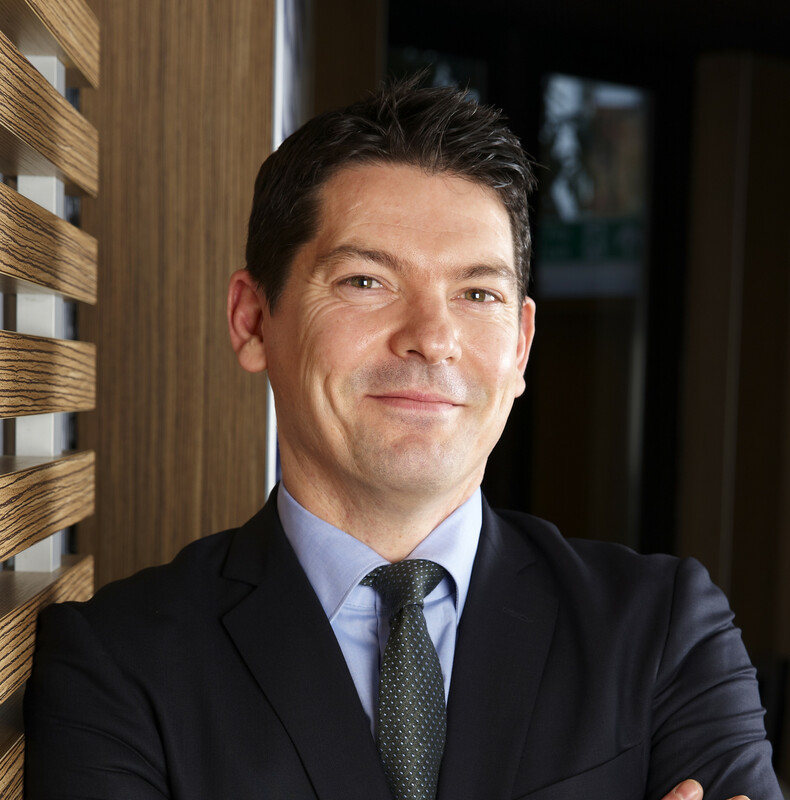 In the wake of the Oxford Farming Conference in the UK earlier this month, AgFunderNews caught up with McDonald’s UK supply chain director Connor McVeigh to find out more about the fast food restaurant chain’s influence on farming practices and his views on agriculture technology. How many acres of farmland does McDonalds impact in the UK? At McDonald’s we try and source ingredients locally wherever possible. We are a major supporter of British and Irish agriculture with over 17,500 British and Irish farmers supplying quality ingredients for our UK menu. These farms are independent of McDonald’s, many of which will have multiple customers. Our relationship with these farmers is via one of our trusted suppliers, some of whom we have been working with for over 40 years. This way of working means we are unable to state a specific number of acres used. How much can and does McDonald’s influence the farming practices used by its suppliers? At McDonald’s we recognise how important the farming industry is to our business, which is why we are keen to work with our suppliers and farmers to help ensure its long-term sustainability. That’s why in 2012 we launched Farm Forward: our long-term programme to support British and Irish farmers who supply our menu with quality ingredients. Farm Forward outlines our commitment to support the sustainability of the industry and it provides the umbrella brand that we use to communicate our broader agricultural activity. Whilst we would never want to be prescriptive about how farmers should run their businesses, we want to do our bit to improve animal welfare standards, find ways to support farmers to increase efficiencies on-farm, make environmental improvements and provide skills and training opportunities to support and encourage people to consider a career in the food and farming industry. As part of Farm Forward, we have launched initiatives such as the Progressive Young Farmer programme that is a unique 12-month placement, giving aspirational young farmers the opportunity to see our supply chain, from farm to front counter, following either the beef, pork or dairy supply chain. We are also excited to announce that in 2016, we will add a crops placement that will focus on potatoes and produce, for which applications recently closed. Also, under Farm Forward, we work closely with our suppliers and independent consultants such as FAI (Food Animal Initiative) to help us deliver our research programme, which has led to animal welfare initiatives such as the establishment of our ‘range enrichment programme’. This stipulates that all egg producers supplying free range eggs for our breakfast menu, need to plant trees on their ranges to provide canopy cover for their hens to improve animal welfare and enhance productivity. As an example of our support to encourage environmental improvements on the farm, we have been working with over 200 beef farmers across the UK and Ireland over the last six years as part of our ‘Sustainable Beef Clubs’. We have invested in over 1,300 annual carbon assessments, as well as bringing together beef farmers twice a year, giving them the opportunity to discuss challenges their businesses face and hear from industry experts on practical issues. Based on the data collected on-farm, we also worked with Alltech-ECO2, a supplier of agricultural sustainability measurement and mitigation services, to launch an on-line business tool for farmers beyond our own supply chain. This allows farmers to assess where potential efficiencies can be made, which in turn could reduce their carbon footprint and make financial savings. Which farming practices is McDonald’s particularly keen to influence or change at the moment? As mentioned above, we want to do our bit to promote food and farming as a highly skilled, desirable industry in which to be involved, promote high standards of animal welfare and promote continuous development in environmental sustainability. We recognise the importance of collaborative work, based on the principle of continuous improvements as part of our broader sustainable sourcing programmes. We work closely with our suppliers and their producers to understand the challenges facing the industry and how we can offer support. This has resulted in us making sustainable sourcing moves such as sourcing British RSPCA Assured pork and 100 percent British potatoes for our fries. We want to expand our focus in 2016 to start to source beef from farms verified as using sustainable methods of production. This is an ongoing journey and for several years we have been working in a leading role with our suppliers and with organisations including the Global Roundtable on Sustainable Beef and the SAI Platform to achieve this goal. What new technological innovations are you aware of your farming suppliers using at the moment? In 2015, we launched the McDonald’s Farmer Innovation Award, which is designed to recognise progressive farmers that demonstrate a creative approach to finding practical solutions that help the industry meet its challenges. With nominations submitted from all corners of the agricultural spectrum and from across the country, W.B.Daw & Son, a potato grower from Staffordshire, emerged victorious from the judging panel. Working in partnership with industry specialists and supplier McCain Foods, James Daw and his family developed yield mapping capabilities as part of his approach to precision farming in the potato sector, as well as adopting a sustainable approach to environmental improvements on the farm. We use over 250,000 tonnes of potatoes annually and in September last year, we announced a multi-million-pound move to sourcing only British potatoes for our fries. For us to secure a growing volume of that great quality ingredient, which our customers value so much, we need a vibrant and sustainable potato industry. This is why our commitment to 100% British potatoes has been followed by us establishing our Sustainable Potato Supply Group, which includes our suppliers, McCain Foods, Lamb Weston and our research partner FAI – Food Animal Initiative. Through this group, we are engaging with British potato growers to understand the challenges that are really pressing in the potato industry, from soil and water management to succession planning. Is McDonald’s contributing to the research and development process of any agtech internally or externally? Alongside supplier partners and independent industry experts, we are working on a number of initiatives under our sustainable supply groups such as the Sustainable Egg Supply Group and the Sustainable Beef Clubs. The importance of traceability has always been paramount at McDonald’s, and this came into force during the Horsemeat scandal. As a company we were unaffected and confident from the outset, we would not be implicated, as others struggled to find the source of their own products. As a result, our supply chain and traceability standards were commended by an independent Government expert, Prof, Chris Elliot, as being best in class. Our investment in traceability has been ongoing for many years and will continue as it remains so important to us as a brand and for customer confidence. What is McDonald’s’ view on GM food? McDonald’s UK does not use genetically modified (GM) ingredients in its food. Regarding GM livestock feed, we recognise that it is not possible to specify the locations from which cereals and other livestock feeds are sourced, nor is it realistic to specify the use of non-GM feed. We continue to monitor consumer opinion, scientific developments and national/EU proposals on GMOs and GM produce, and will rely on agricultural, scientific and governmental experts for guidance on this topic. What are the main demands of your consumers and how might technology address them? At McDonald’s we know that our customers come to us for great tasting food, made with quality ingredients, sold at affordable prices. That’s why we only use products and ingredients that meet high standards in animal welfare, quality and food safety. We believe that it’s our open and transparent supply chain and long-term relationships with trusted suppliers that help us deliver against these consumer requirements.